Barrio Dent, San Jose. De Taco Bell 300 mts oeste, 100 mts norte. 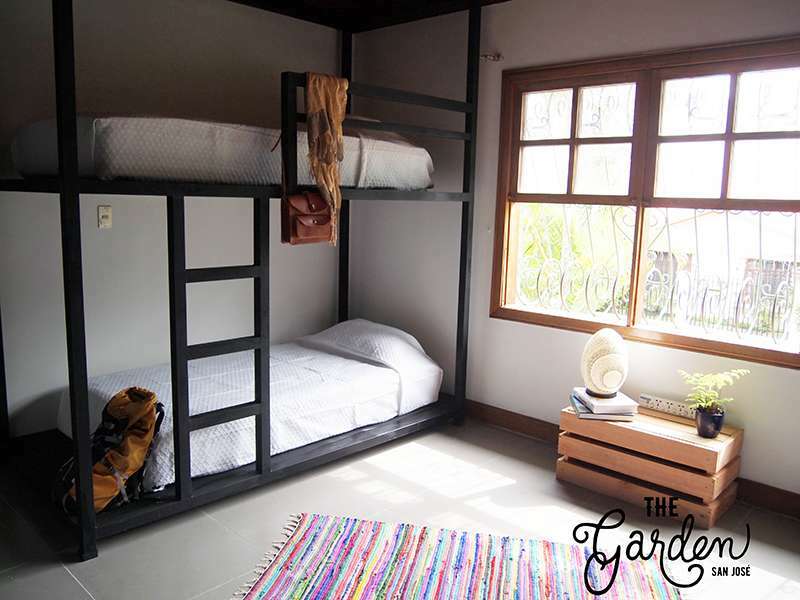 The Garden consists of five bedrooms. 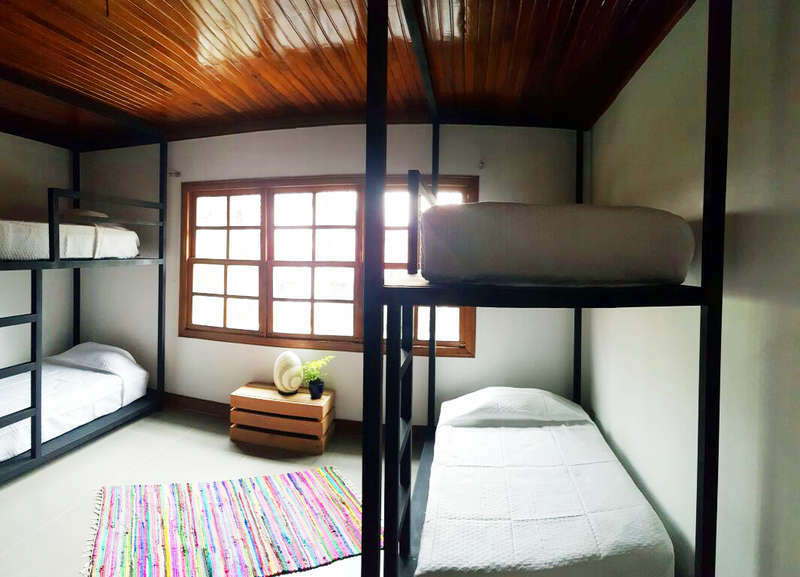 Two private double (or triple if needed) bedrooms, two consisting of three bunk beds each and a one room with 4 bunk beds. All of them share bathrooms (three showers for each gender with their individual changing room, four toilets and four sinks). The social area consists of Tv or social room, Dining room, community kitchen, terrace with grill, and our beautiful Garden. The garden can be rented by individual bed, by room, or the full house. Maximum capacity is 24. The Garden is located in the east side of San José, in Barrio Dent. 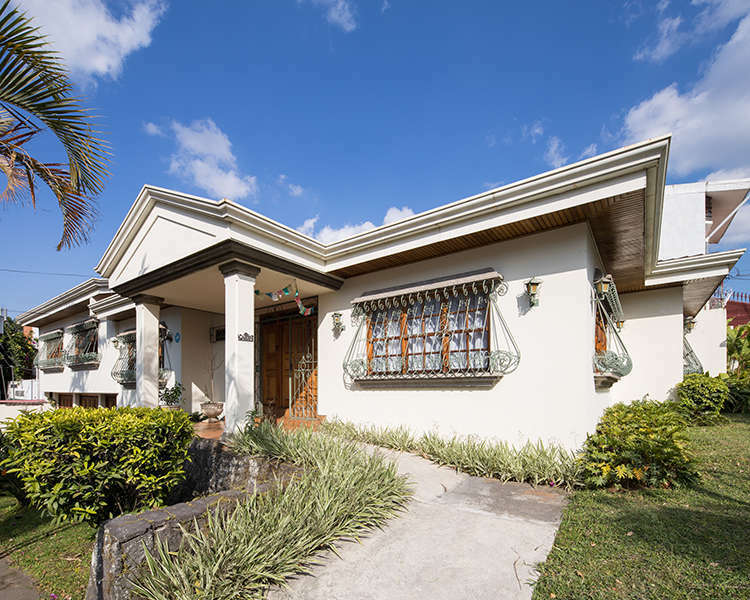 A nice and safe neighborhood, Barrio Dent is in walking distance to University of Costa Rica, Centro Cultural Norteamericano, San Pedro Mall, Supermarkets (AMPM, Automercado), Restaurants, bars, and last but not least The Paseo Gastronómico Escalante, which is thriving with gastropubs, restaurants and coffee shops. If you arrive in Juan Santamaria Airport: Buses from The airport to San José pass on the main street right outside the airport premises. From the San Jose terminal it is better to take a taxi (5-8 dollars). Mall San Pedro is in Barrio Dent, it is a well know landmark in case you need to explain to the taxi were are you going. From there you take the boulevard towards San José (west) until you see the Hyundai and then turn North, from there continue North until the trafic light, then do West (left) 1 block and North (right) 1 block. The Garden then should be in the corner right in front of you. No refund less than 24 hours prior to arrival. Entrance and exit: no curfew, but we suggest letting us know in advance if you plan on going out late, not only because of safety reasons, but maybe we can direct you so you can get the most out of it and who knows, maybe we´ll party with you. Shared rooms are cleaned daily. Private rooms are cleaned upon request, no staff enters private rooms otherwise. Smoking inside the house is strictly prohibited, in the terrace and garden it is allowed UNLESS it interferes with another guest comfort. Alcohol can be consumed in a reasonable fashion in the social areas, no food or beverages are allowed in the rooms. We make our best effort to reduce trash, recycle and compost.